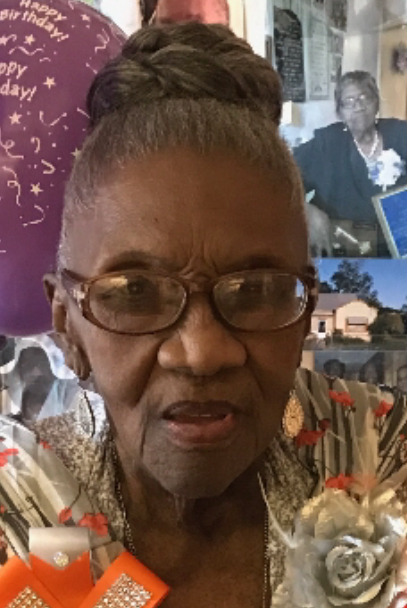 Obituary for Dorothy Mae (Dennis) Guienze Butler | Jones Funeral Home, Inc.
Centenarian Dorothy Mae Dennis Guienze Butler, 107, the oldest resident of St. Mary Parish, a resident of Franklin, LA, and native of Glenco, LA, passed away at the Franklin Foundation Hospital on Monday, May 7, 2018 at 5:05 AM. 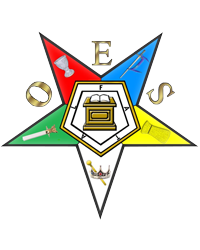 Visitation will be observed on Friday, May 18, 2018 at Lighthouse Missionary Baptist Church 1110 Barrow Street Franklin, LA, from 8:00 AM until the beginning of the Fraternal Order of the Eastern Star services beginning at 10:30 AM. 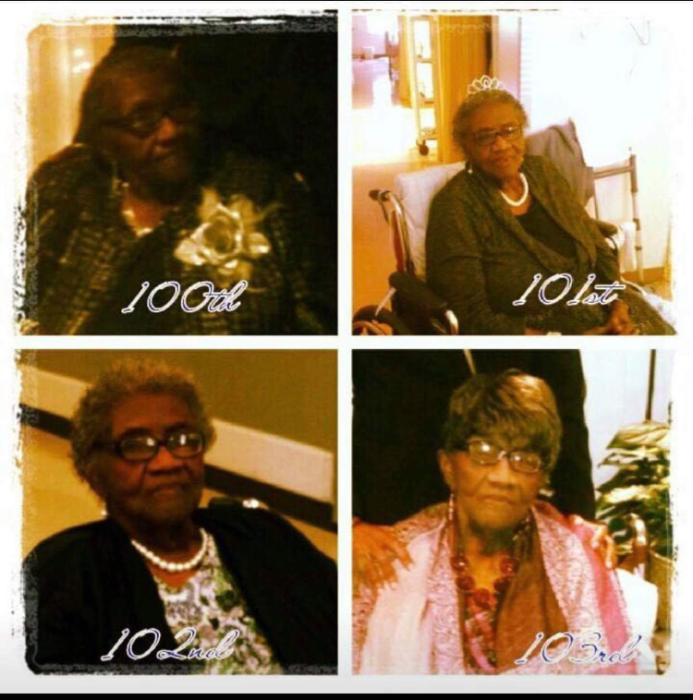 A Celebration of the life Mother Dorothy D. Butler will begin at 12:00 Noon, with Pastor Allen Randle officiating the services. Burial will follow funeral services in the Franklin Cemetery Main Street in Franklin, LA. "On a hill far away, stood an old rugged cross. The emblem of suffering and shame. And I love that old cross where the dearest and best, for a world of lost sinners was slain. So I'll cherish the old rugged cross, till my trophies at last I lay down. 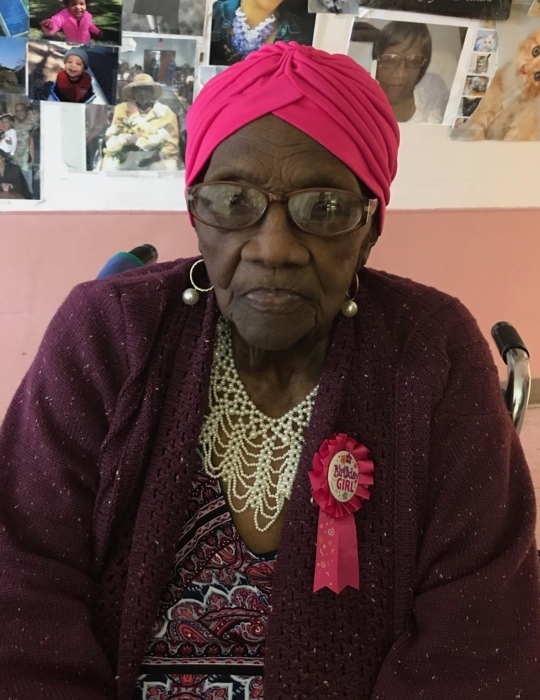 I will cling to the old rugged cross, and exchange it some day for a crown"
Dorothy Mae Guienze Butler, the former Dorothy Mae Dennis, was born in Glencoe, Louisiana on March 16, 1911. She was the youngest of three children born to the union of John and Martha Dennis. 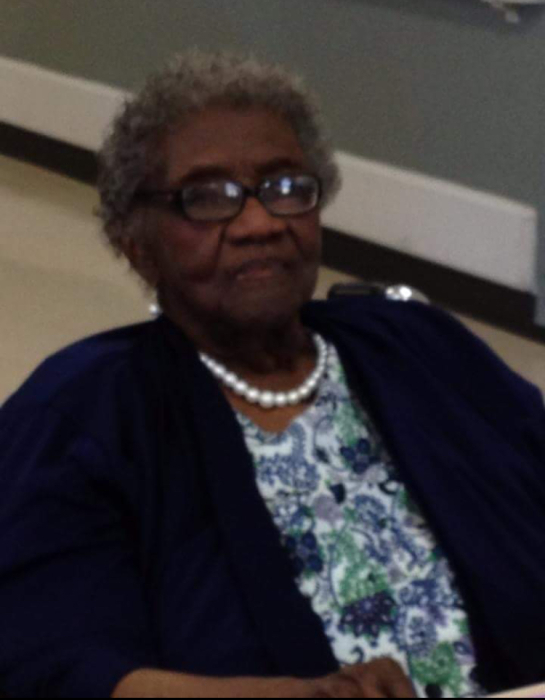 Dorothy was educated in St. Mary Parish, attending schools in the Glenco, Baldwin and Franklin areas. Dorothy’s spiritual journey began at the age of four when she accepted Jesus Christ. As she matured, Jesus became the Lord of her life. At age 17, she married Clarence Guienze and to this union, two children, Clarence John Guienze and the former LaVera Guienze, were born. After the death of her husband, Clarence in 1974, Dorothy later married Henry Butler in 1987. Dorothy epitomized the qualities of the Virtuous Woman, as described in Proverbs 31. “Many women do noble things, but you surpass them all. Charm is deceptive and beauty is fleeting; but a woman who fears the Lord is to be praised. Give her the reward she has earned, and let her works bring praise at the gates.” Proverbs 31:29-31. Dorothy’s son Clarence lives with his wife Sharron in Cherry Hill, New Jersey. When he graduated from high school, she took a second job doing laundry so that he could become the family’s first college graduate. He went on to a rewarding career with the Federal Bureau of Prisons and the Department of Corrections in the State of Maryland. Her daughter, LaVera, became Franklin, Louisiana’s first black female police officer. The successes that her many descendants now enjoy are the direct result of Dorothy’s lifetime of selfless giving. 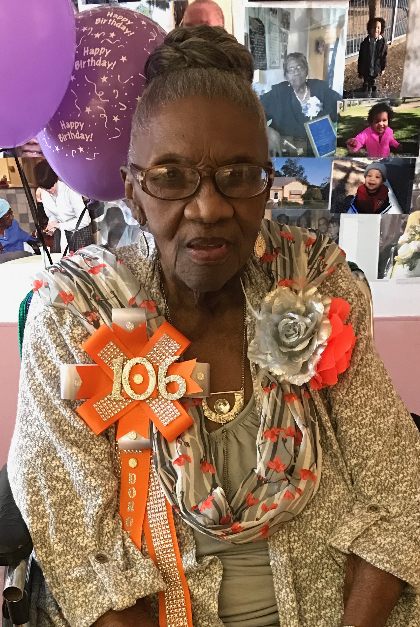 Dorothy, herself, studied to apply her gentle, compassionate and caring nature to a career as a Certified Nursing Assistant. She completed her clinical training at Franklin Foundation Hospital, and spent countless hours at patients’ bedsides, holding hands and providing comfort – even in the moment of death. For most of her adult life, Dorothy resided at 310 Second Street in Franklin, Louisiana. 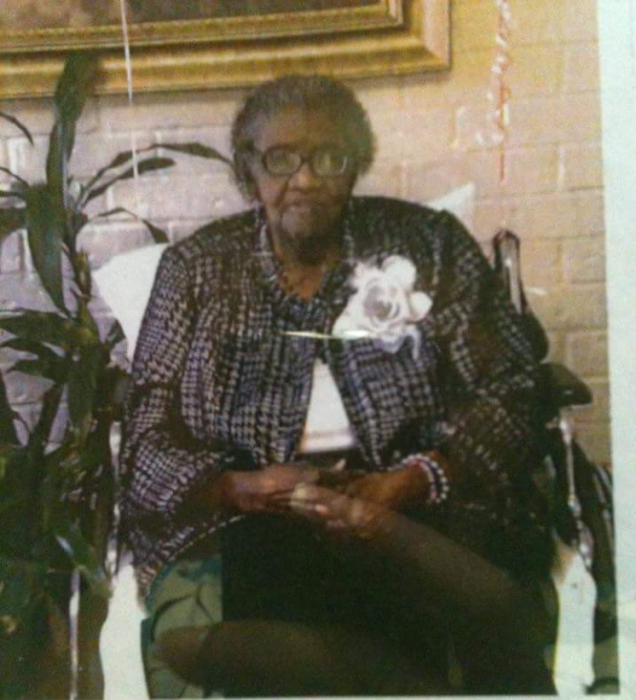 From 2006 until the time of her demise, she was a resident at the Franklin Health Care Center. 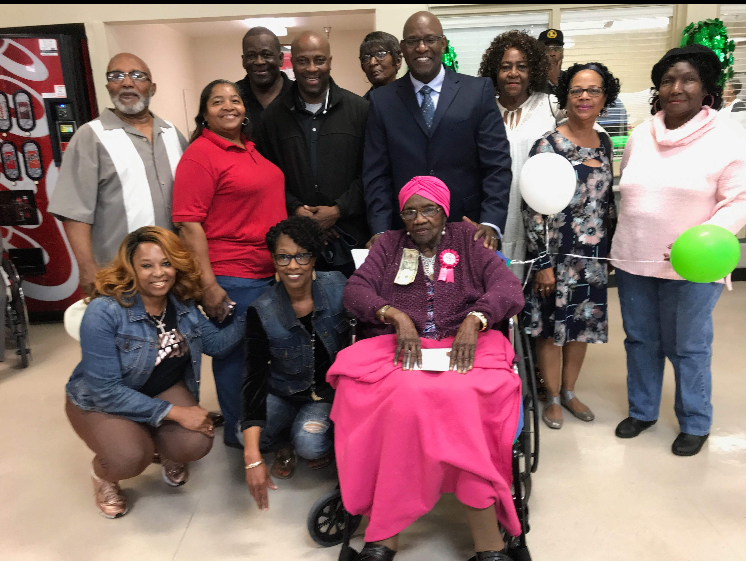 Dorothy was a member of the Adah Chapter #20 OES PHA for many years and received many awards for her service to her church and community. 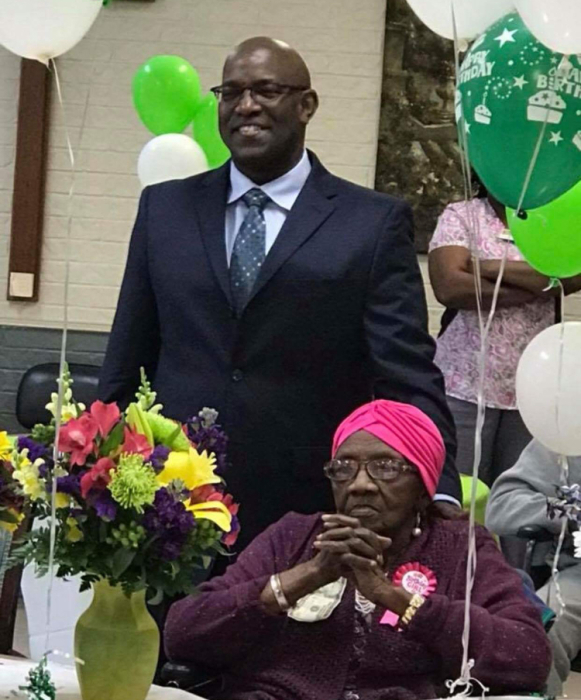 They include serving as one of the founding Broussard Harris Recreation Park Board Committee Member and President of Resident Council for years at Franklin Health Care Center. It was wonderful to just be in her presence. When we look at her family and friends, we can truly see that they are beneficiaries of the love God that placed in her heart. 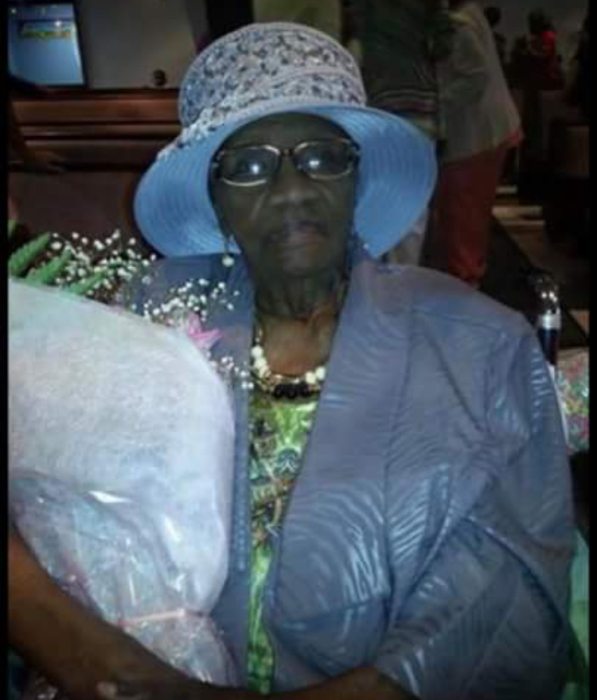 For most of her adult life, she was a member of Mount Zion Baptist Church and later became a member of Lighthouse Missionary Baptist Church where she had the honor of serving as the “Mother of the Church”. Her favorite bible verse was “…My grace is sufficient for you, for my power is made perfect in weakness.” 2 Corinthians 12:9 . Dorothy’s favorite hymn was The Old Rugged Cross, which she sang throughout life with a beautiful contralto voice. Dorothy also enjoyed sewing, crocheting and cooking. 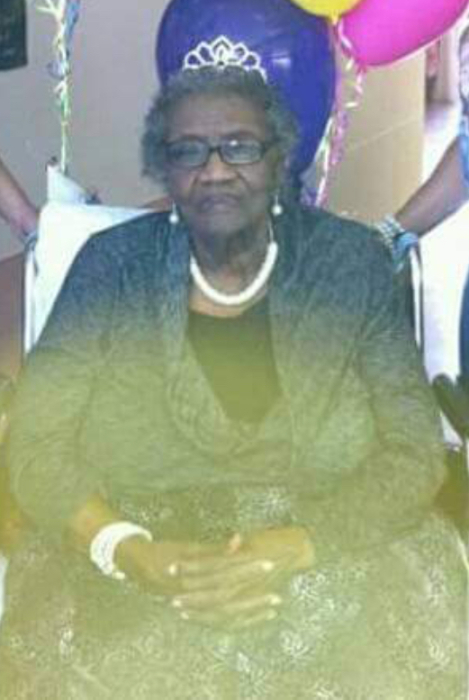 “Mother Butler,” "Grandma”, “Gay-gam”, as she was known to many, departed earth on May 7, 2018 at 5:05 A.M. at the age of 107 following a brief illness at Franklin Foundation Hospital. On that morning, she exchanged that old rugged cross, she would often sing about, for her new crown which the Lord had prepared just for her. Dorothy was the oldest resident of St. Mary Parish. 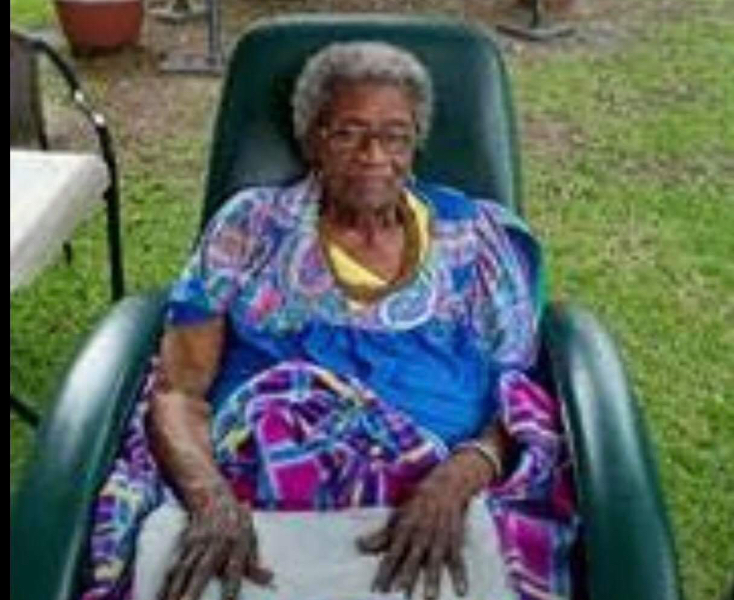 She lived to see six generations of her very own family. In Mother Butler’s time, she experienced many things. In 1955, the Civil Rights Movement; in 1964, the passing of the Civil Rights Act prohibiting discrimination of all kind; in 1965, having the opportunity to vote and one of her greatest joys was in 2008 when she was to be able to cast her vote for the first African American President, President Barack Obama. Memories of this admiring, spiritual, kind, and gentle woman will forever remain in the hearts of her son, Clarence John Guienze and his wife, Sharron ; two adopted sons, Freddie Charles Guienze, a skilled mechanic, and Danny Bonit, a carpenter; four grandchildren, Calvin Brent Jr., Dorothy Evelyn Lewis, Guienzy Marie Brent - her principal care provider who attended to her daily, Regina Guienze Tinti; a step-grandson, Stephen Michael Franklin and a special grandson, Michael Hamilton, who held her hand as she transitioned peacefully. 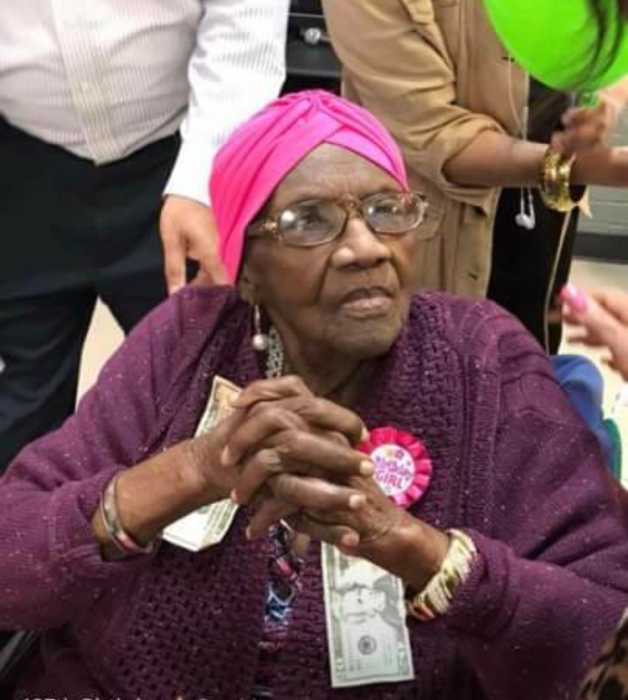 Her legacy of love will forever live in the lives of a host of other descendants which include her great, great-great and great-great-great grandchildren, nieces, nephews, her Lighthouse Church Family, the residents of the Franklin Healthcare Center and many friends. She was preceded in death by her two husbands, Clarence Guienze and Henry Butler; a daughter, LaVera G. Brent; a great-granddaughter, Lashawn Terrell Brent; her parents, John and Martha Dennis; a sister, Sarah Dennis Foster; a brother, Joshua Dennis; a step grandson, William Reed Smith Guienze; a niece, Dawn Dennis, and a son-in-Law, Calvin Brent, Sr.; grandson-in-law, Dudley Lewis.